Hello everyone! Wow has it really been that long since we posted something? We apologize for not posting in a while! If you’re looking for us we can always be found on our Facebook page! Some of the members have been busy improving the space! HICapacity received some awesome shelving and we’re putting it to good use! The space is looking more streamlined and organized. More improvements are forthcoming and Jesse has setup a GoFundMe donation drive to help us achieve our space revamp. Our goal is to reach $2,500 and we’re getting close! If you want to support us or see more details about what we’re going to do with the funds please see the GoFundMe page for more info. Thank you to those who have already supported us! We’re going to be addressing two major pain points that we’ve always had. The need for decent seating (we currently have a mismash of partially broken office chairs) and the lack of AC after 7 PM. Even though we have windows they do little to help cool the space at night. The bulk of the funds will go toward buying us new chairs and a portable AC unit. The remainder will go to upgrading the technology in the space to support recording/streaming for presentations and additional storage solutions. So what else have we been up to? Pretty much the same as last year. We’ve been continuing with having talks at the space. In fact there is one tomorrow! It is titled There’s a Pheonix In My Elm Tree and will be an introduction to using Elm with the Pheonix framework. Stop by if you can! That’s it for now! We will post photos of the space as we update it. We’re extremely grateful to all the members and supporters for helping us to keep HICapacity going! Please note that any prior information is outdated. The times of the workshops have changed and the showcase has been postponed. We come to you with an exciting opportunity to be part of a workshop by Anouk Wipprecht! She’s an extremely talented Engineer/ Electronic Couture designer from the Netherlands and she’s coming here to host workshops for a select group of Honolulu’s fashion designers! We’re looking for volunteers to help! tech: any experience with arduinos or other hardware devices (teensy, octo, neopixels, xbee), coding and soldering. The workshops will be Tuesday, Nov 10 - Thursday, Nov 12 from 10am-3pm. Volunteering earns you a free ticket! Volunteer experience can range from students to professionals. If you are available and interested in volunteering please email info@shoux.media with the days you are intersted in volunteering for. To honor the commemoration of fashion month and debut our hard working and innovative movers and shakers driving innovation in fashion tech, we will be showcasing our inaugural hybrid designs to blow your mind. The date of the showcase will be announced so keep an eye out for an official announcement! Thank you so much and PLEASE spread the word!!! Can you tell the difference between a Mobile Application and a Web Application? Are you interested in learning about their differences and how they can affect your business? 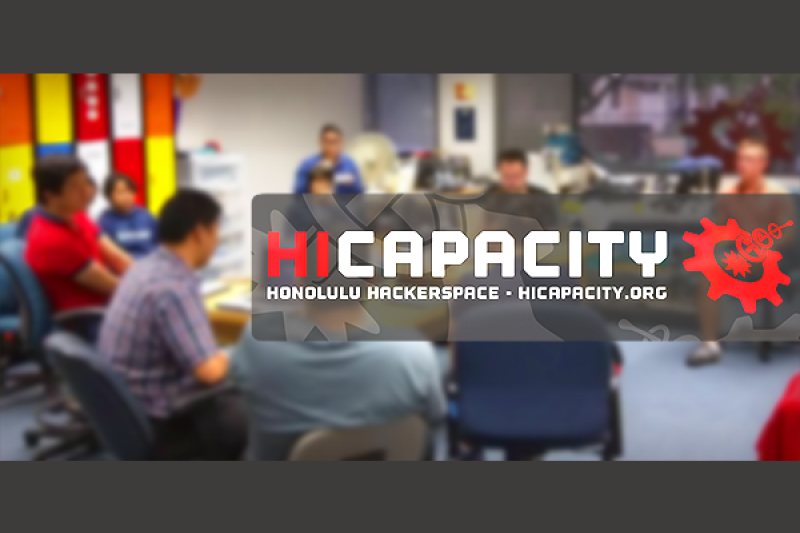 HICapacity’s Edward Kim will be giving a presentation on what each technology is, how they differ from each other, how they can be used in your business, and if it makes sense to build one of your own. This presentation is aimed specifically at those that are not developers but are interested in staying up to date with the current trends in the technology industry. Developers are also welcome to share their own stories and experiences. Interaction between businesses and developers is highly encouraged and this event is just one way to continue the conversation. The presentation will end with a break out session and a Q&A session where attendees can get tailored advice suited to their business. During the breakout session, attendees can try exercises that flex the advice given in the presentation or to get to know other attendees. Please note that there are two times for the event. There is one during the day from 2pm to 3pm and another at night from 7pm to 8pm. Where: Manoa Innovation Center Presentation Room, 2800 Woodlawn Drive, Honolulu, Hawaii 96822. Edward Kim is a developer for Slickage Studios. He graduated from the University of Manoa with a Bachelor of Science degree in Information and Computer Science. Since graduating, he has mainly focused on building web services and applications for both the client and server side. He’s also has experience building Machine Learning Frameworks and A.I. type applications, worked with GIS type applications for the military, and is currently helping to build an open source forum application, Epochtalk.